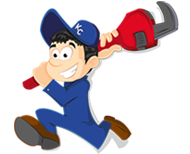 In many cases, a water heater that is not work­ing can be repaired and does not need to be replaced. 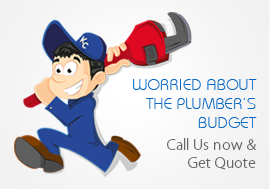 KC Plumber Pro can pro­vide water heater repair Kansas City and Over­land Park. The first thing that you need to deter­mine is the type of water heater that you have. If the unit is gas, your first step should be to locate the pilot light. If the pilot light is out you can fol­low the instruc­tions on the side of the water heater that will walk you through the steps of relight­ing your pilot. If the pilot will not light, you many need to replace the ther­mo­cou­ple. 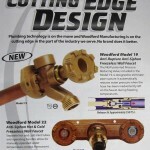 For many units, this is a uni­ver­sal part that can be pur­chased from your local hard­ware store. If you would like us to replace the unit call to sched­ule for an appointment. 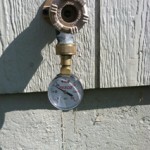 The t&p valve is another part of the water heater that can often be replaced. The t&p valve is located on the side of most water heaters and will start to leak water if there is a surge in pres­sure. If the water heater is leak­ing from any other area, it usu­ally means that your unit needs replaced. If your water heater is elec­tric there will not be a pilot light, instead there will be an upper and a lower panel. 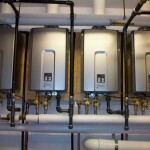 Inside these pan­els are heat­ing ele­ments that can be replaced which will often restore hot water. If you only have hot water for a short amount of time, it is a good indi­ca­tion that your upper heat­ing ele­ment has gone bad.